Model:EC0101 ACCRA Description: Two tone oval metal keyring with large metal split ring. Colour Options: Silver Product Data Specification Product Size 24 x 55 x 7 mm Product Weight Ink Colours If Applicable N/A Additional Information Price includes engraving to 1 position only. Price excludes Carriage & Origination. Lead Times 5 working days from artwork approval. For Priority Service Lead times and pricing info please visit Priority-Service for more information. Personalisation Data Max Personalisation Pad/Screen Print Area N/A Engraving Area 16 x 25 mm Full Colour Area N/A Embroided Area N/A Max Spot Colours N/A Foil Block Embossing N/A Notes Price includes engraving to 1 position only. Set up and carriage are additional. 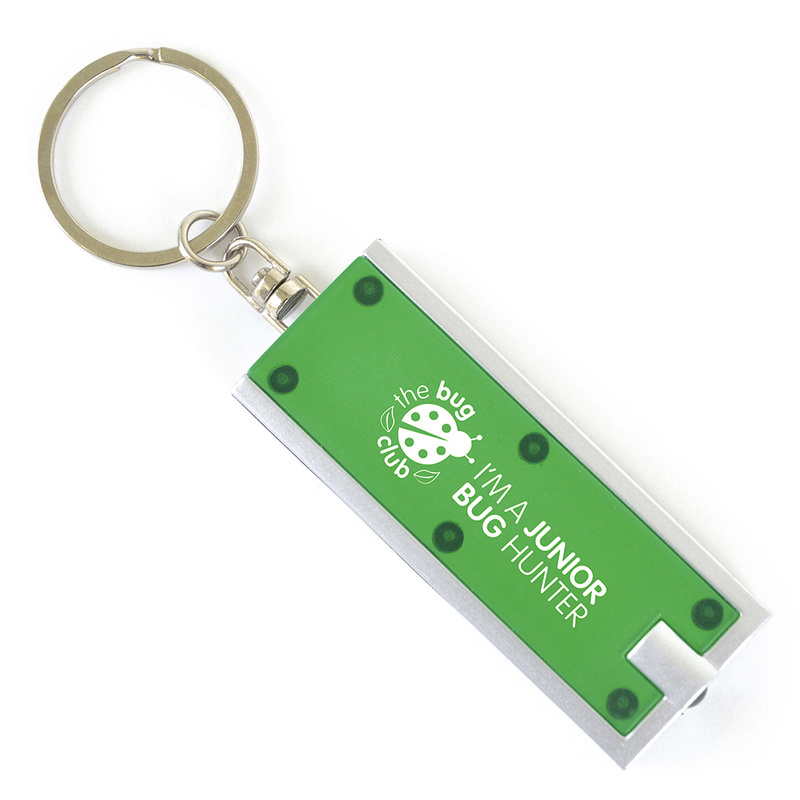 Model:ZM0003 ALUMINIUM SQUARE KEYRING Description: Metal square domed keyring. Colour Options: Black,Blue,Red Product Data Specification Product Size 43 x 38 x 2 mm Product Weight Ink Colours If Applicable N/A Additional Information Price includes up to a full colour dome to 1 position. Price excludes Carriage & Origination. Lead Times 10 days from approval of artwork Personalisation Data Max Personalisation Pad/Screen Print Area Engraving Area 34 x 34 mm Full Colour Area 34 x 34 mm Embroided Area N/A Max Spot Colours 4,CMYK Foil Block Embossing N/A Notes Price includes up to a full colour dome to 1 position. Set up and carriage are additional. 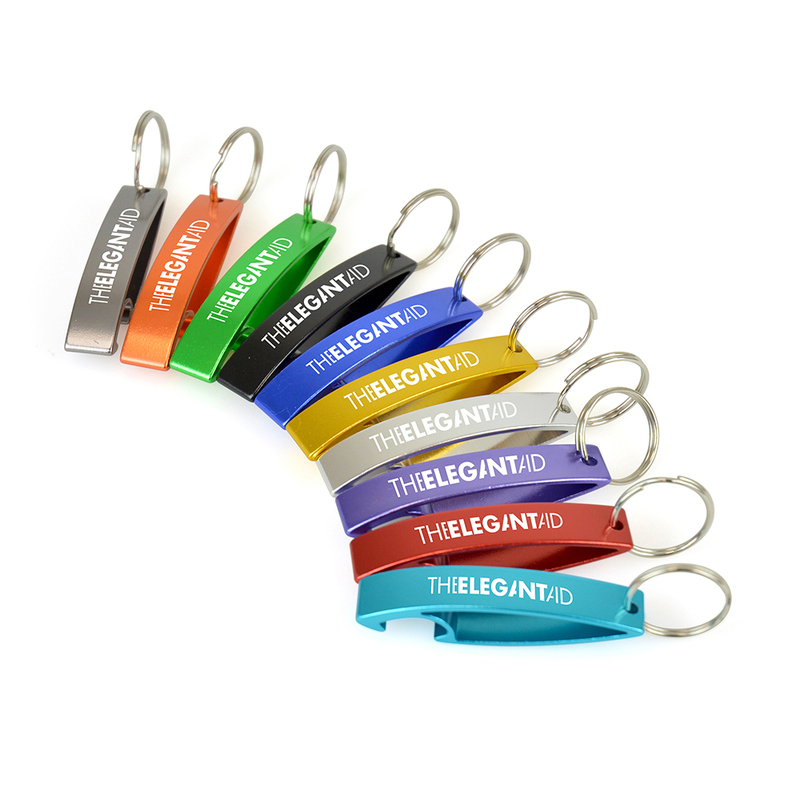 Model:ZM0004 ALUMINIUM TEAR DROP KEYRING Description: Metal tear drop domed keyring Colour Options: Black,Blue,Red Product Data Specification Product Size 45 x 25 x 2 mm Product Weight Ink Colours If Applicable N/A Additional Information Price includes up to a full colour dome to 1 position. Price excludes Carriage & Origination. Lead Times 10 days from approval of artwork Personalisation Data Max Personalisation Pad/Screen Print Area N/A Engraving Area N/A Full Colour Area 36 x 21 mm Embroided Area N/A Max Spot Colours 4,CMYK Foil Block Embossing N/A Notes Price includes up to a full colour dome to 1 position. Set up and carriage are additional. 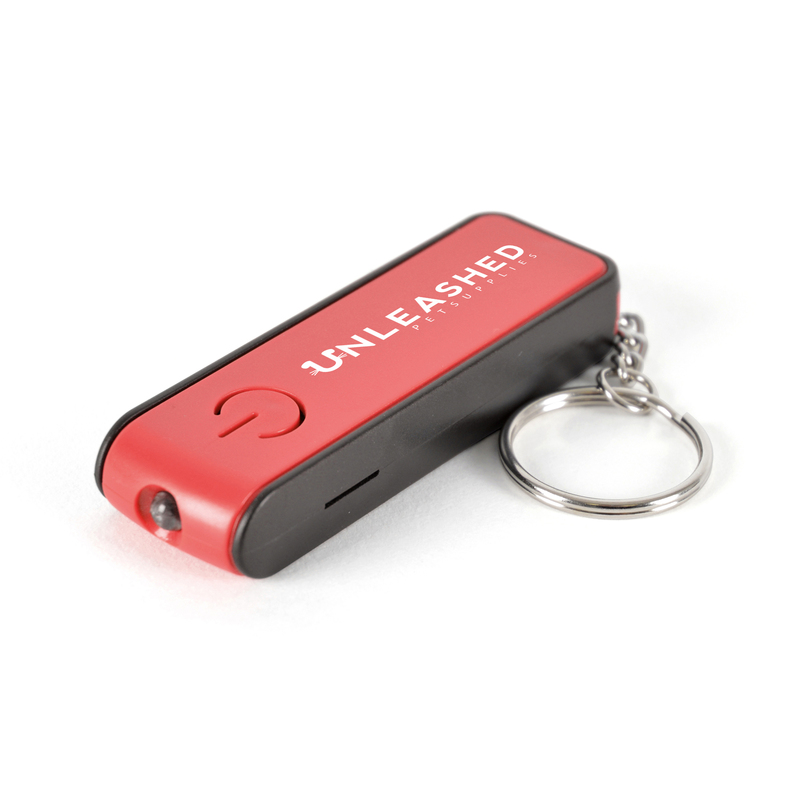 Model:EC0073 ASHBY Description: Aluminium torch keyring providing 1 LED with aluminium. Batteries included. Colour Options: Black,Blue,Red Product Data Specification Product Size 70 x 20 mm dia. Product Weight Ink Colours If Applicable N/A Additional Information Price includes engraving to 1 position only. Price excludes Carriage & Origination. Lead Times 5 working days from artwork approval. Personalisation Data Max Personalisation Pad/Screen Print Area N/A Engraving Area 35 x 10 mm Full Colour Area N/A Embroided Area N/A Max Spot Colours N/A Foil Block Embossing N/A Notes Price includes engraving to 1 position only. Set up and carriage are additional. 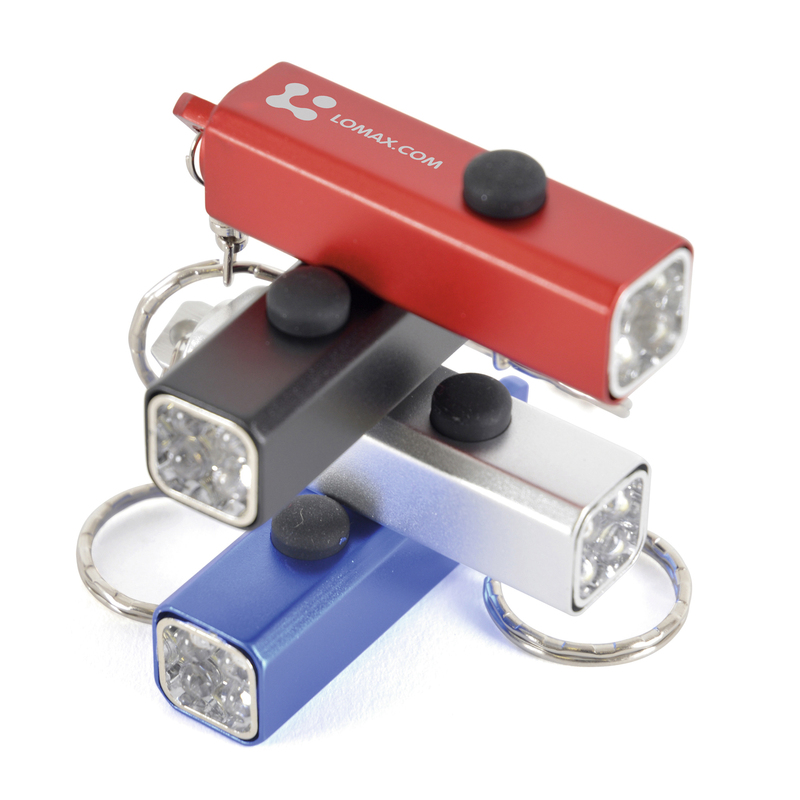 Model:EC0081 BEXTON Description: 2-in-1 keyring torch with 1 LED of illumination and built in mobile phone stand. Batteries included. Colour Options: Blue,Red,White Product Data Specification Product Size 75 x 22 x 11 mm Product Weight Ink Colours If Applicable N/A Additional Information Price includes 1 colour print to 1 position only. Price excludes Carriage & Origination. Lead Times 5 working days from artwork approval. Personalisation Data Max Personalisation Pad/Screen Print Area 40 x 15 mm Engraving Area N/A Full Colour Area 40 x 15 mm Embroided Area N/A Max Spot Colours 3 Foil Block Embossing N/A Notes Price includes a 1 colour print to 1 position. Set up and carriage are additional. 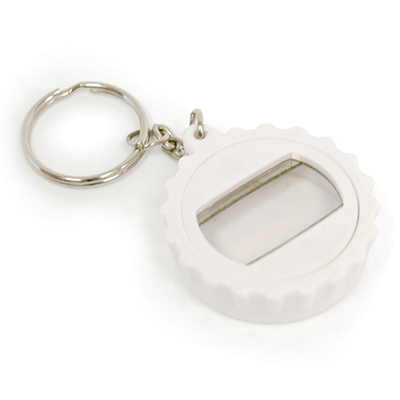 Model:EC0068 BOTTLE LID Description: Plastic bottle opener keyring in the style of a bottle lid. 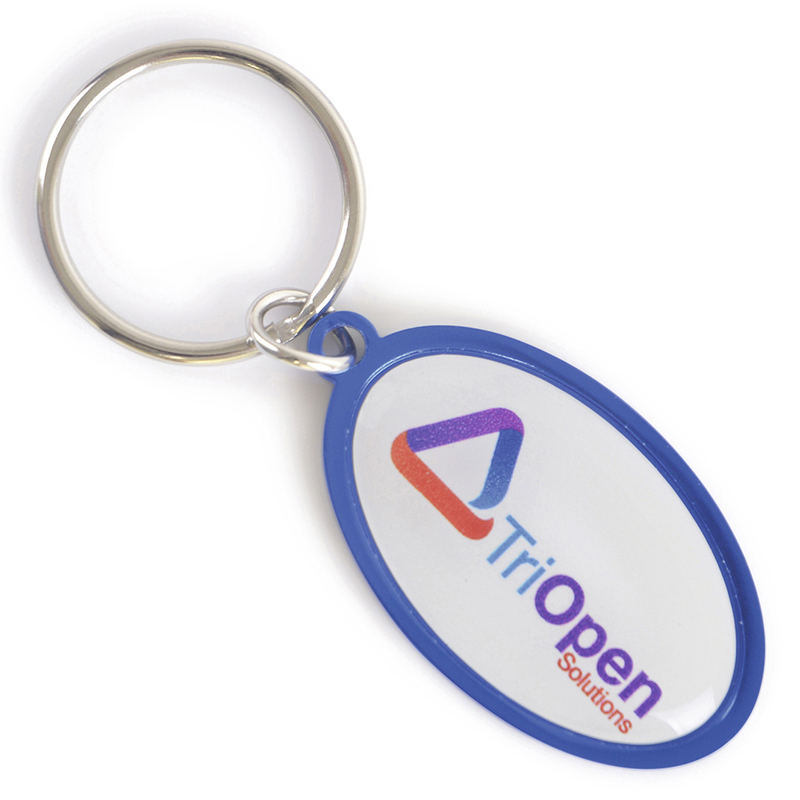 Available in blue, purple and white Colour Options: Blue,Purple,White Product Data Specification Product Size 40 x 45 x 12 mm Product Weight Ink Colours If Applicable N/A Additional Information Price includes 1 colour print to 1 position only. Price excludes Carriage & Origination. Lead Times 5 working days from artwork approval. Personalisation Data Max Personalisation Pad/Screen Print Area 25 mm dia Engraving Area N/A Full Colour Area 25 mm dia Embroided Area N/A Max Spot Colours 2 Foil Block Embossing N/A Notes Price includes a 1 colour print to 1 position. Set up and carriage are additional. 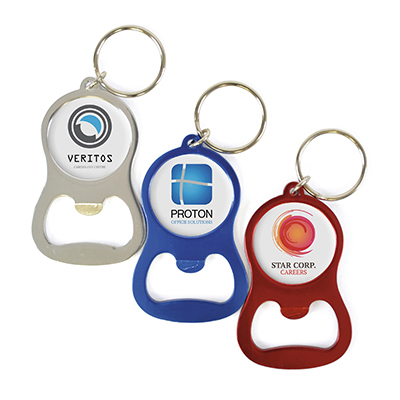 Model:EC0062 BOTTLE OPENER Description: Durable metal bottle opener, incudes a silver split ring attachment. Available in 10 colours. 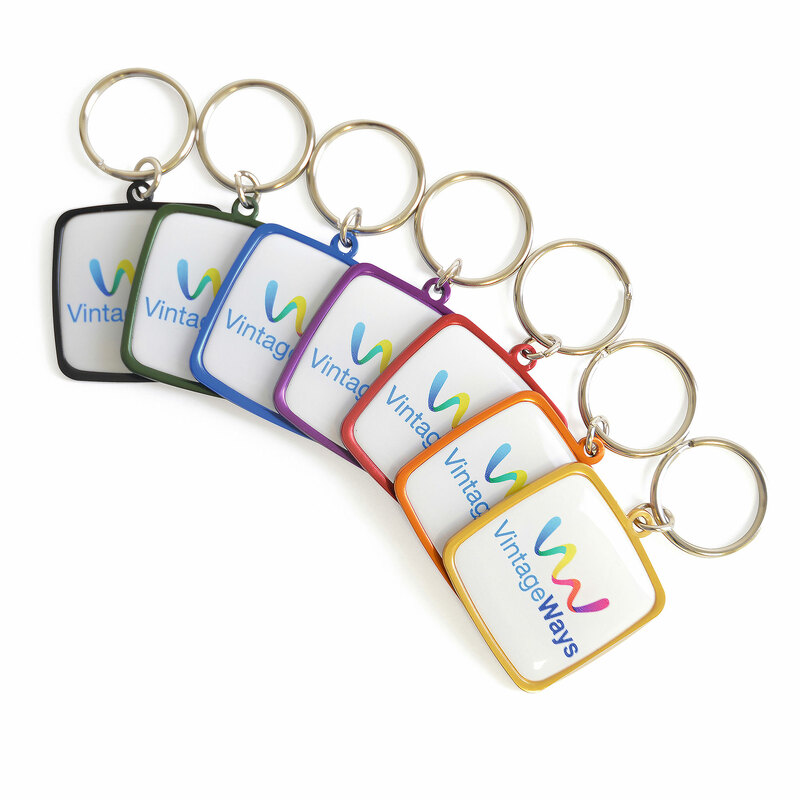 Colour Options: Amber,Black,Blue,Cyan,Green,Pink,Purple,Red,Silver,Yellow Product Data Specification Product Size 67 x 13 x 15 mm Product Weight Ink Colours If Applicable N/A Additional Information Price includes engraving to 1 position only. Price excludes Carriage & Origination. Lead Times 5 working days from artwork approval. For Priority Service Lead times and pricing info please visit Priority-Service for more information. Personalisation Data Max Personalisation Pad/Screen Print Area N/A Engraving Area 55 x 10 mm Full Colour Area N/A Embroided Area N/A Max Spot Colours N/A Foil Block Embossing N/A Notes Price includes engraving to 1 position only. Set up and carriage are additional. 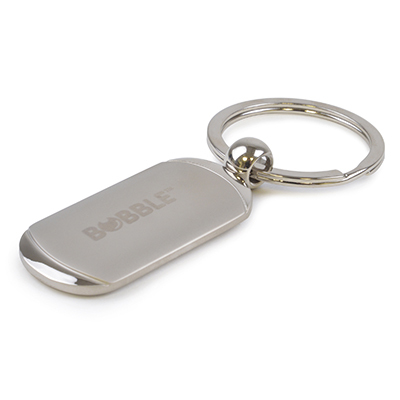 Model:ZM0030 BOTTLE OPENER KEYRING Description: Metal keyring and bottle opener with metallic finish. Colour Options: Blue,Red,Silver Product Data Specification Product Size 65 x 40 x 2 mm Product Weight Ink Colours If Applicable N/A Additional Information Price includes full colour dome to 1 position Lead Times 10 days from approval of artwork Personalisation Data Max Personalisation Pad/Screen Print Area N/A Engraving Area 32 x 30 mm Full Colour Area 28 mm dia Embroided Area N/A Max Spot Colours 4,CMYK Foil Block Embossing N/A Notes Price includes up to a full colour dome to 1 position. Set up and carriage are additional. Model:LT0061 CUBOID TORCH KEYRING Description: Aluminium cuboid shaped 4 LED torch keyring Colour Options: Black,Blue,Red,Silver Product Data Specification Product Size 65 x 15 x 15 mm Product Weight Ink Colours If Applicable N/A Additional Information Price includes engraving to 1 position only. Price excludes Carriage & Origination. Lead Times 5 working days from artwork approval. Personalisation Data Max Personalisation Pad/Screen Print Area N/A Engraving Area 50 x 9 mm or 25 x 9 mm (button side) Full Colour Area N/A Embroided Area N/A Max Spot Colours N/A Foil Block Embossing N/A Notes Price includes engraving to 1 position only. Set up and carriage are additional. 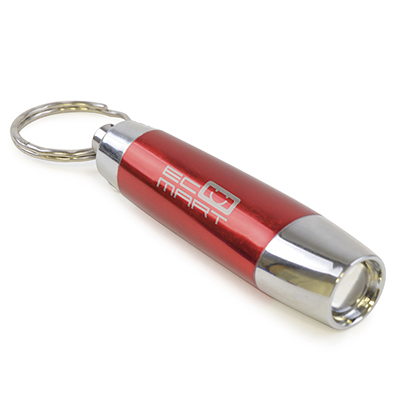 Model:EC0065 DHAKA Description: Flat plastic single LED keyring torch. Available in 11 colours. Batteries included. Colour Options: Amber,Black,Blue,Cyan,Green,Pink,Purple,Red,Silver,White,Yellow Product Data Specification Product Size 24 x 60 x 9 mm Product Weight Ink Colours If Applicable N/A Additional Information Price includes 1 colour print to 1 position only. Price excludes Carriage & Origination. Lead Times 5 working days from artwork approval. For Priority Service Lead times and pricing info please visit Priority-Service for more information. Personalisation Data Max Personalisation Pad/Screen Print Area 40 x 12 mm (front), 25 x 12 mm (back) Engraving Area N/A Full Colour Area 40 x 12 mm (front), 25 x 12 mm (back) Embroided Area N/A Max Spot Colours 4+ Foil Block Embossing N/A Notes Price includes a 1 colour print to 1 position. Set up and carriage are additional.